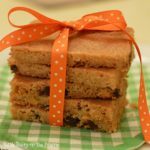 Rhubarb Chocolate Chip Cookies are an moist, cake like cookie with sweet, tangy rhubarb and plenty chocolate chips! You can customize these cookies by addidng in whatever extra goodies you like; white or milk chocolate chips, walnuts, pecans! Either way they are the perfect summer cookie! A few years ago I must have thought I was going to be a really ambitious person. I divided my rhubarb plant into two plants so I would have plenty of rhubarb for making Rhubarb Cinnamon Struesel Muffins, Blueberry Rhubarb Dump Cake, Rhubarb Cobbler Cake, Rhubarb Blueberry Jam, and Rhubarb Pancake Syrup. See! I have really good intentions of putting all that rhubarb to good use. Then life happens! Summer arrives and I’d rather be outside playing than making rhubarb jam! Regardless of how much summer working and playing happen at my house, one thing is for sure…we NEED dessert every single day! I guess what I’m saying is I make time for dessert no matter what else gets accomplished, or doesn’t get accomplished! 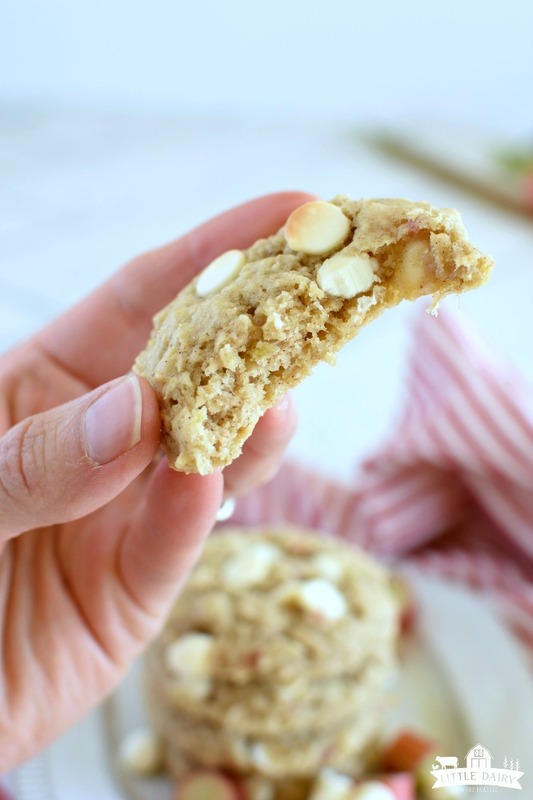 Rhubarb Chocolate Chip Cookies are just right for a yummy summer recipe! NOTE: This recipe was originally published in June of 2013. The photos were updated in July 2018. The recipe remained the same! To be completely honest with you I must admit two of my boys turn their little noses up at the thought of eating rhubarb. 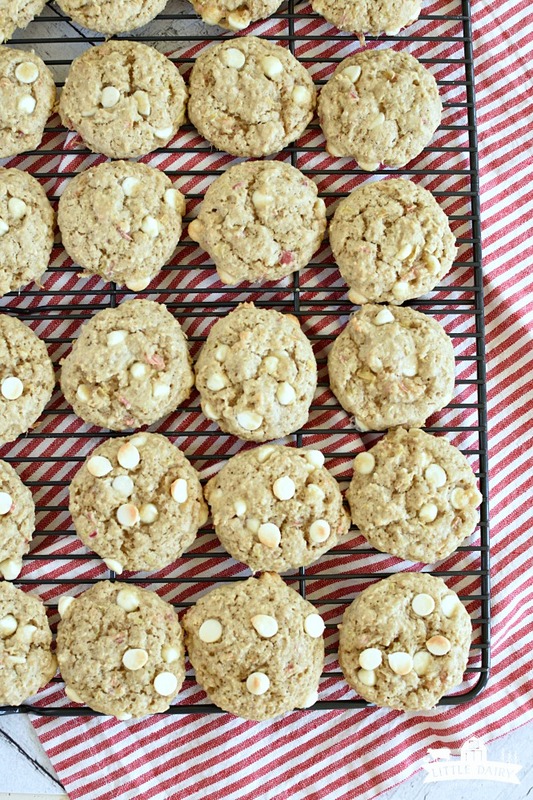 My Rhubarb Cookie making is something I have to plan out! If they see me getting the rhubarb out they won’t even touch one of those cookies, at all! As I’m sitting here typing I’m wondering what’s so bad about that? I’m drawing a blank here! The truth is, they’ve eaten many, many dozens of Rhubarb Cookies and never complained at all. In fact, they gobbled all the cookies up lickity split! Of course they didn’t know they were eating rhubarb and I didn’t tell them! So, at the end of the day they have a love hate relationship with rhubarb cookies; they love them when they don’t know what they’re eating, they hate the cookies when they know! Crazy kids! 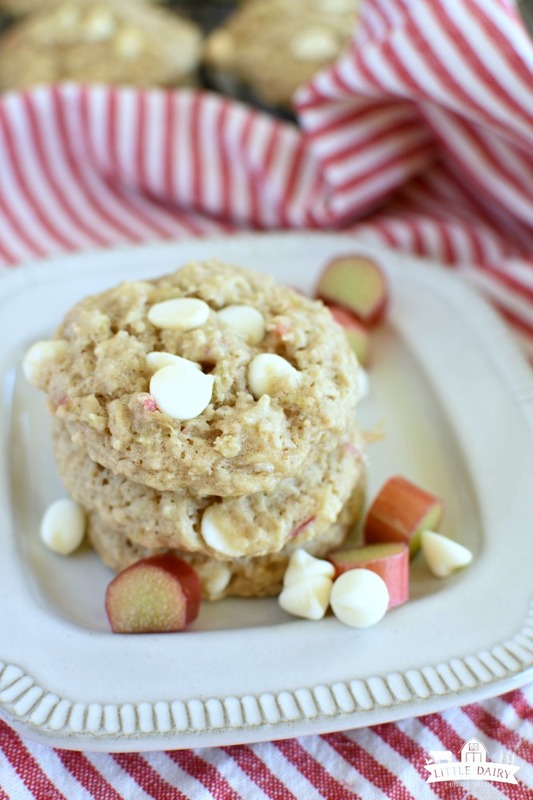 How chop rhubarb for cookies! Check out my Rhubarb Cinnamon Streusel Muffin recipe for tips on chopping rhubarb! It has all the details! 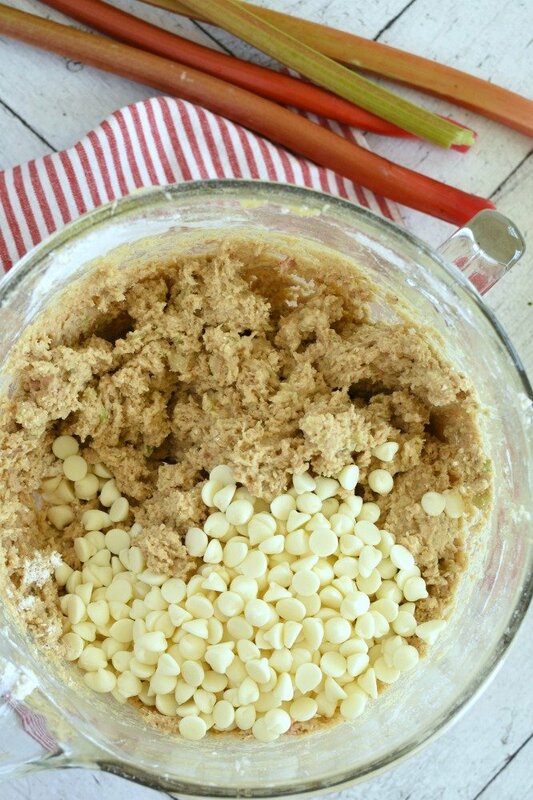 My favorite method for these cookies is the food processor method. You guys, it’s hard to make chopped rhubarb look appetizing, but I thought I’d include this picture so you can see about how finely I chop the rhubarb. How do I customize cookies? For this cookie recipe you can customize it to your own tastes. Here are a few add in options. You can choose what kind of chocolate chips you’d like. Then substitute the other options for the raisins! These cookies are fantastic with either vanilla extract or almond extract. I love them both! If you are looking for a milder flavor stick with vanilla, if you want something a little more flavorful go with almond! This recipe makes quite a few cookies! After cookies have cooled on a wire rack store them in an airtight container for up to three days. If cookies start to dry out a bit, add a slice of bread. It will soften them right up! Rhubarb Chocolate Chip Cookies are one of the treats I take to my boys when they are working on the farm. Of course boys are always giddy when mama shows up with a plate of cookies to share! There’s something amazing about tangy, sweet rhubarb mixed with cinnamon and of course chocolate! You can’t leave out the chocolate! 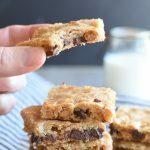 The oats make them cookies feel a little bit like a fruit crisp to me, except better because it has chocolate! Yes, I’m addicting! Grab the Rhubarb Chocolate Chip Cookies recipe! Here’s the printable recipe, or pin it for later! If you have a rhubarb plant I have a feeling you are always looking for scrumptious ways to use it up! These cookies will hit the spot for sure! 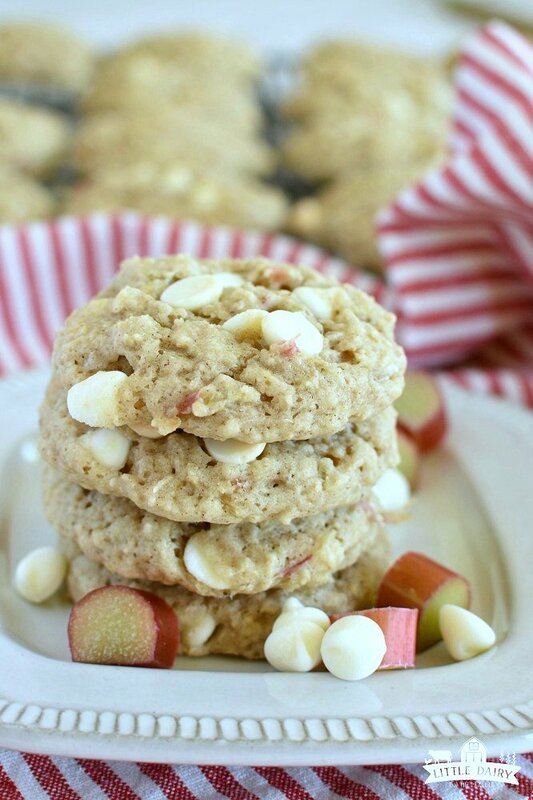 The rhubarb in Rhubarb Chocolate Chip Cookies gives them an amazingly soft texture. It also makes them perfectly moist. It's a new favorite way to eat rhubarb. Cream eggs, butter, 1½ cups sugar and vanilla extract until fluffy. About 2 minutes. Add diced rhubarb and ½ cup sugar in blender. Blend until pureed. Pour into creamed ingredients. Mix together. Sift flour, salt, soda and cinnamon into creamed mixture. Add quick oats. Mix until incorporated. Add chocolate chips and raisins. Mix together. I like this recipe. Only change I made was to cook the rhubarb for a few minutes until soft as my blender is on the fritz. They are great cookies. Thanks! 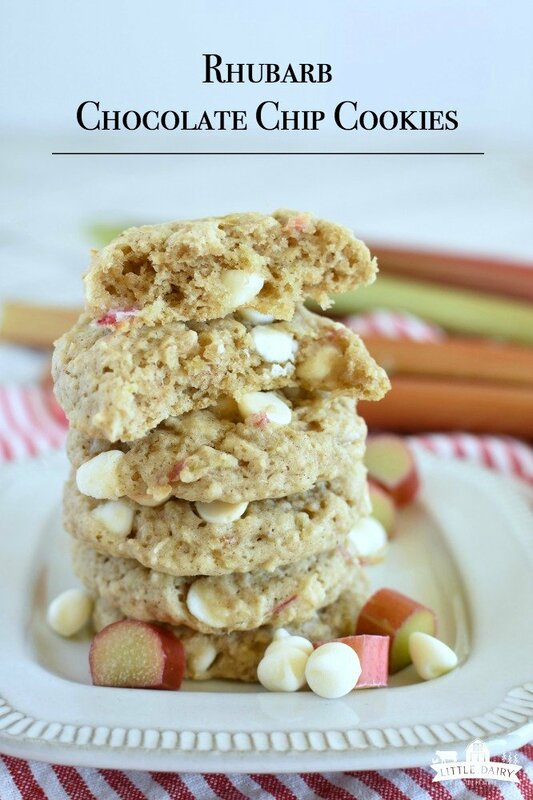 These cookies are a must make every spring when the rhubarb finally gets ready! I’m sure cooking the rhubarb for a bit worked great! Hi. Trying your recipe for the first time. Little confused. the recipe calls for vanilla extract and the directions say almond extract. Which one is preferable? Oops! 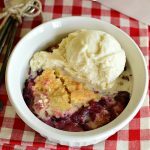 This is one of the first recipes I put on my blog! I have used both and either one works fine. I think I prefer the almond extract! Good luck! I don’t have a blender, just a 3-cup food processor. Do I have to put the sugar in with the rhubarb when I puree it or can I mix it in afterwards? Becky, I’m sure you could add the sugar afterwards. I don’t think it would really change anything. Let me know how it goes if you try it! This recipe says in the instructions to add almond extract and then it doesn’t mention the vanilla extract, so is that just a typo? I am confused! Yes, it is a typo! Thanks for catching it! You could use either vanilla or almond extract in this recipe have great results. I like vanilla better! Earlier you responded to Andrea that you preferred the Almond Extract. Do you now prefer the vanilla?? Well, let’s just say I change my mind all the time! I’ve made them both ways and they are delicious either way. Almond gives them a little bit different flavor than vanilla. Which is my favorite? I guess it depends on the day! You can use either one, but if you like milder flavors I’d suggest vanilla! Hope that helps! It does make tons of cookies which can be a fantastic problem! I’ve never tried freezing them but I imagine it would work just fine. Let me know if you try it…I could use a few dozen of these in my freezer for those busy days! Made your rhubarb chocolate chip cookies today, they are delicious. Thank you for shareing your recipe. Yay! I love those cookies! So happy you enjoyed them too! Quick question — what size are these? There aren’t any measurements in the instructions. Picture looks like you’ve used a scoop. Hi Becky! I did use a scoop that’s one Tablespoon. You can use a bigger scoop if you’d like you will need to increase the baking time! Can i decrease the sugar? I’ve never tried decreasing the amount of sugar I use in this recipe. Typically decreasing sugar in cookies recipies makes them drier and crumbly. It usually also makes it so they don’t spread out. These cookies don’t spread much anyway, but they are extra moist. It would be fun to experiment with. let me know how it goes! I have made this recipe twice..I make a half recipe and works just fine. I prefer the almond extract. First time I made the cookies I made them small..They were so good I made them larger this time. I’m glad you enjoyed them! I love rhubarb! What a fun idea for a cookie! Thanks! I love the tangy/sweet combination in these cookies! Perfect for summer! I am so excited to try your recipe! I love all these ingredients! I can’t wait for you to try it! Rhubarb is so fun for the summer! I would have never thought to put rhubarb in chocolate chip cookies! I bet they’re really good! They look wonderful! 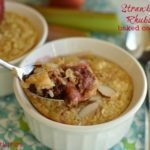 Since I’m a chocolate addict I knew I needed to come up with a rhubarb recipe that had chocolate in it! Yum! I’ve never had rhubarb in cookies! I can’t wait to try it! You’re going to love it! It makes them extra special! 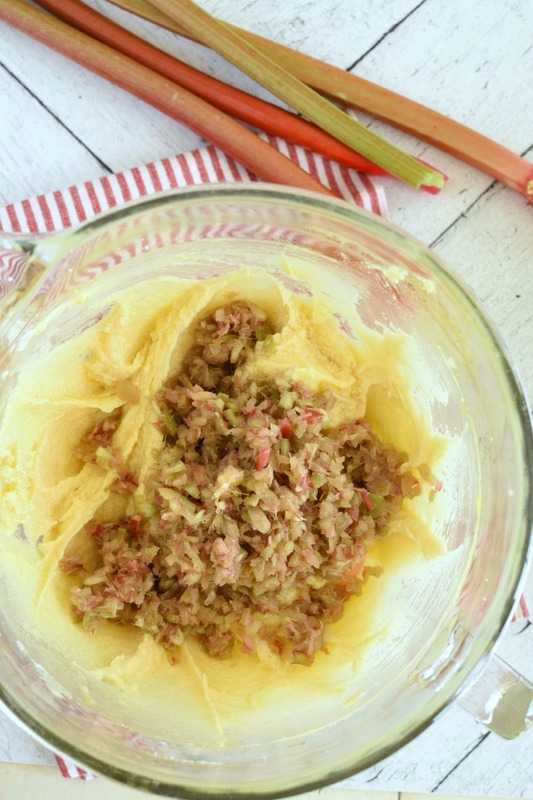 This is a great rhubarb recipe! Great way to use it up for sure! Thanks! Rhubarb season just doesn’t last long enough! This would be such a hit in our house!